Oppopinion: Should I Buy This Shirt? I own too many T shirts, I’m sure lots of you are in the same boat. 20% of my T shirts shirts are just plain solid color polo tees. The rest are car directly or indirectly car related. 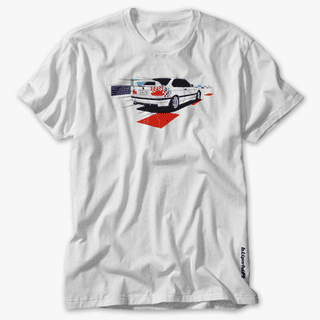 More than half are blipshift shirts, and all but one of those has either a 911 or a 3 series on it. Normally I just buy blipshift shirts without batting an eye as they are only $15, but since I have two drawers and part of a closet stuffed with T shirts, I’m going to let oppo make the call on this one. So what say ye? Shirt or no shirt?